The Patrouille de France flight demonstration team is currently flying a North American tour in honor of the one hundredth anniversary of the United States entering World War I. They are the oldest flight demonstration team in the world with their first performance taking place in 1931. The team uses eight Dassault-Breguet/Dornier Alpha Jets with red, white and blue smoke generators. Their appearance here at Mather Field in Sacramento is the only show scheduled on the West Coast. 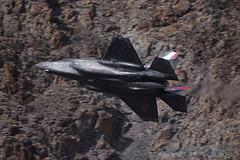 The schedule included two T-38 Talons from Beale AFB and the Airbus A400M Atlas transport from the French Air Force, with the Patrouille de France as the stars. The static aircraft included two C-130 Hercules, a UH-60 Blackhawk, a T-39 Sabreliner, and a World War II Yak. After the A400M finished its routine, it was also opened up to the public. The show started with the French National Anthem as the A400M Atlas taxied out on the runway followed by the United States National Anthem with the two T-38 Talons passing in review. Then the A400M launched into a steep climb to do a short demonstration of its capabilities. It was the first demonstration of the A400M in the western United States. It is a surprisingly quiet aircraft in all aspects of flight. Following the tactical landing of the A400M the Alpha jets took to the sky. A spectacular performance kept all eyes skyward. In one maneuver called the DNA, two four-ship arrowhead formations flew intertwining rolls to make a double helix in the sky. The performance continued with various formations including six aircraft forming a “V” formation to paint an American flag in the sky using the red, white, and blue smoke, a great tribute to America. Constant formation changes and smoke patterns created a wonderful show for the crowd. The aerial ballet and precision flying wowed the spectators the entire time. At 6:15 the team was scheduled to fly over San Francisco to take some pictures of the formation with the Golden Gate Bridge. After making several passes behind the A400M over the Golden Gate Bridge, the team broke off and flew a few passes with their spare aircraft taking photos. It was quite an impressive sight to see, and the overcast skies made for a dramatic background for the red, white and blue smoke. Thank you to the Patrouille de France for a superb demonstration!